By Michael Collins: Peter Fury, the uncle and trainer for unbeaten Tyson Fury (19-0, 14 KO’s), says that Tyson is sparring with MMA fighters to get in shape for his upcoming fight which they hope will be against former WBA World heavyweight champion Ruslan Chagaev in November. I’ve never really heard of a professional fighter using MMA fighters to spar with to get ready for a well seasoned veteran like Chagaev. I’m not sure that an MMA fighter would be someone that would be good for a sparring partner given that they’re often guys from wrestling backgrounds with little skills or experience at boxing. You can pretty much take even the oldest heavyweight from professional ranks and put in a top MMA fighter and put gloves him and he’s likely to lose and lost badly. It takes too many years to get good at boxing, and sticking gloves on an MMA fighter and sparring with them probably is a waste of time. It’s unclear whether Fury will get the fight agaisnt Chagaev in November, but he’s definitely been talking a lot about that fight. This might be too big of a step up for Fury, because he still looks incredibly raw. Some of that has been masked by his dreadful opposition lately. 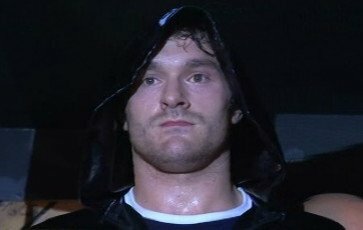 Instead of moving upwards with his career, Fury has been going downwards since he defeated an out of shape Derreck Chisora last year. Fury’s not fighting anyone good and he’s getting easy wins without having to put in much effort. If you throw Fury in with Chagaev, we could see Fury fall apart in that fight especially if he’s using MMA fighters to spar with. One gets the sense that Fury is going to get badly exposed when he faces his first quality opponent, because he’s lacking in almost department except for his size.